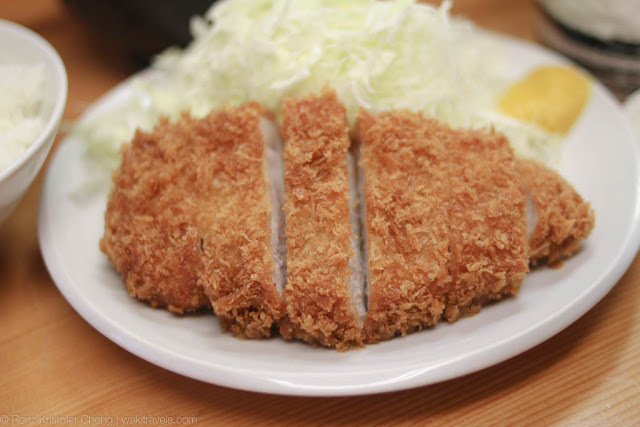 Katsu has always been one of the popular Japanese dishes known for us Filipinos. Hence, in quest of tasting an “authentic” katsu to see for myself if the katsu served here in the Philippines fair well, I asked recommendation from my friend, Ryo. 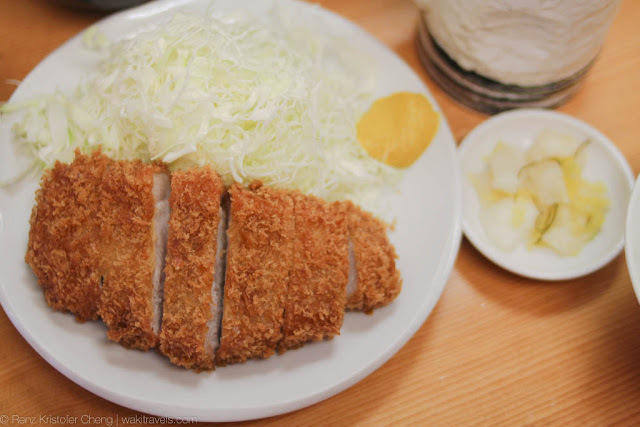 He checked online as well to see a good place to have katsu, and he chose one that is listed in one of the top katsu places around Tokyo. This is how we ended up in this place called Yamabe Uenoten (山家 上野店) in Ueno, Japan. 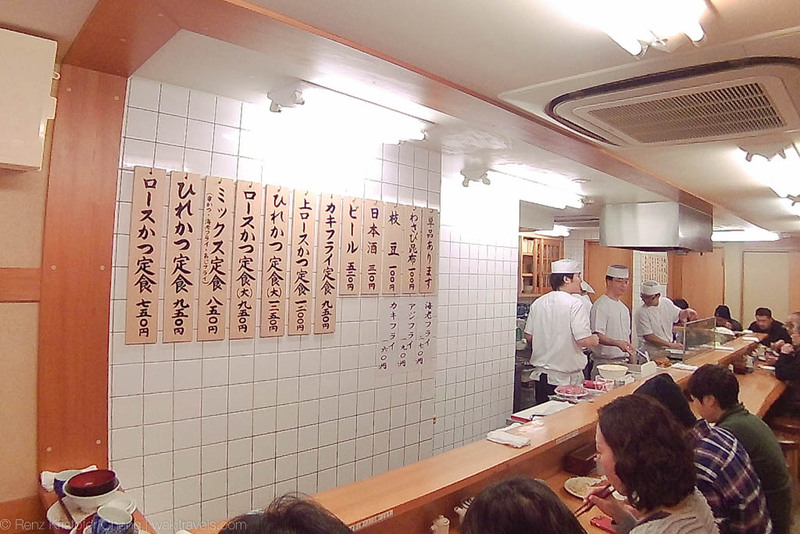 The restaurant has this typical interior you’ll usually encounter in Japan – U-shaped table counters where in its core are the servers as well as some of the chefs/cooks. 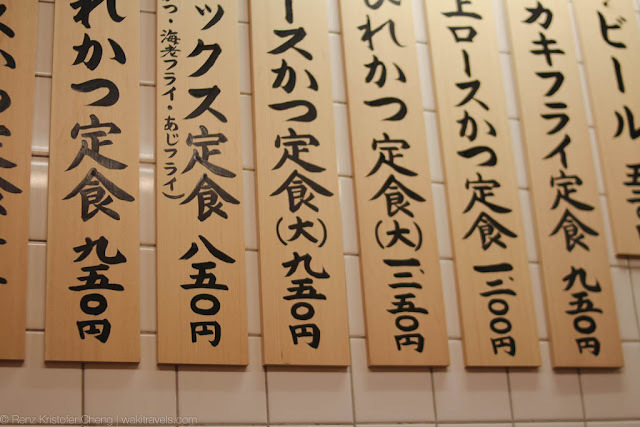 The dishes together with their prices are written on planks hanged on the walls, which added to the appeal of the interior. Back here in the Philippines, I only know one restaurant, as of the moment, having this kind of set-up which is Mendokoro Ramenba (read more). By the way, due to the popularity of the place, we needed to wait for about 20 minutes before we got seated. When it comes to variety, this restaurant chose to specialize on katsu dishes. Hence, you will see limited selection. For this visit, I decided to go for the pork loin (the one with a layer of fat). Surprisingly, the meat was not as tender as I imagined it to be. In fact, Yabu seemed to have better edge. However, I must admit that the quality was magnificent with its fresh cabbage, tasty batter and huge serving (considering that I only order the “regular” size). Further, the miso soup had clams which really brought out more goodness from the soup. Hands down! 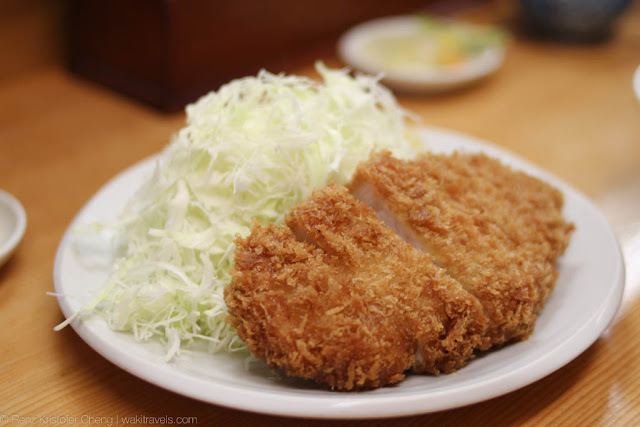 If you convert the price to peso, you’ll realize that you are paying less (compared to most katsu place here) for something possibly even better! Is it wander-worthy? Definitely yes! 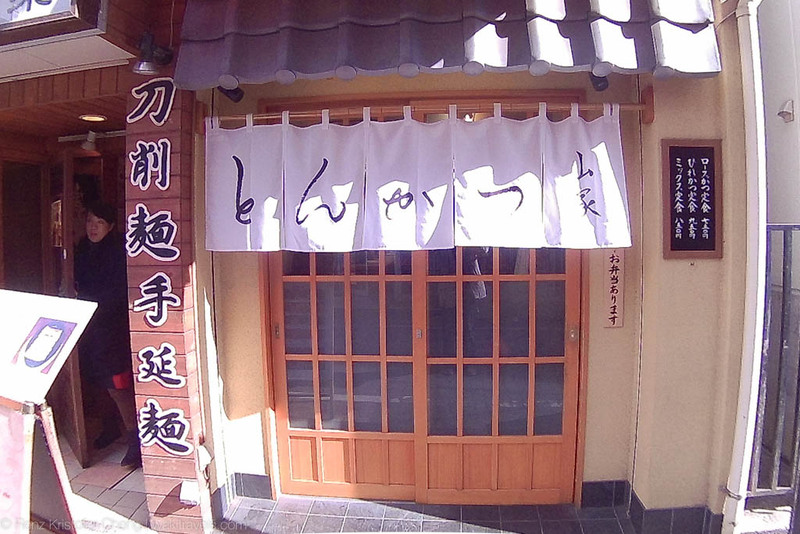 You should go check this place out for an amazing katsu experience. The ambiance is perfect and the food is just exquisite! Plus, you can also tour Ameya Yokocho (Ameyoko), which is a street full of great bargains for your shopping needs. It's also where you can buy fresh goods and groceries. How to get there: You can take the train going to Ueno Station. Pass by the Ameya Yokocho for a street-experience, and walk your way to the restaurant. You may want to get directions using Google Maps below.